Singapore, 22 January 2019 - HOYA Surgical Optics (“HSO”), the intraocular lens and related products division of HOYA Group, today announced that it has completed the acquisition of medical device companies Mid Labs and Fritz Ruck. Mid Labs is a California-based company focused on the research, innovation, development, engineering and manufacturing of ophthalmic medical surgical devices used to prevent blindness caused by certain retinal diseases and traumatic injuries. Fritz Ruck is based in Eschweiler, Germany, and manufactures dual function phacoemulsification machines and accessories as well as distributes other ophthalmic devices and instruments. This acquisition will help to broaden HOYA Surgical Optics’ product portfolio and enable HSO to better serve its customers’ broader needs for high quality ophthalmic products, equipment and services. Through this, HOYA Surgical Optics aims to accelerate the growth of IOL sales and further solidify accelerating the growth of IOL sales and further solidify its position as the fastest growing IOL company globally. The acquisition also provides an opportunity for HOYA Surgical Optics to enter the global retinal market and continue its expansion beyond the current cataract market. With the growing elderly population worldwide and the improving healthcare infrastructure in developing countries, retinal disease treatment is expected to grow at higher rates in the future. HOYA Surgical Optics will be able to leverage Mid Lab’s best-in-class vitrectomy cutters, machines and other vitreoretinal surgical products. 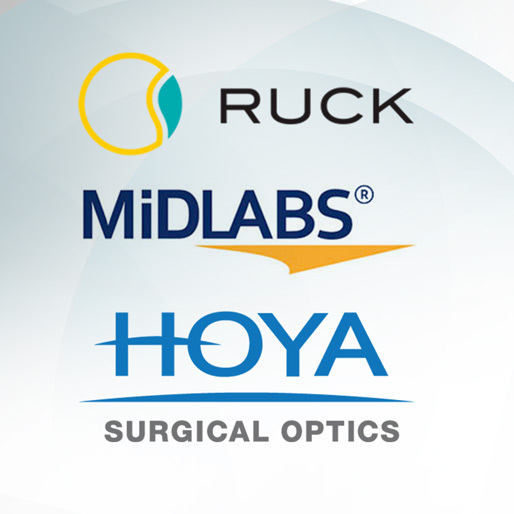 HOYA Surgical Optics announced a definitive agreement to acquire Mid Labs and Fritz Ruck on 18 October 2018. With more than 75 years of optical product expertise from the HOYA Group and over 30 years of experience in designing and producing intraocular lenses (IOL), HOYA Surgical Optics’ mission is to improve vision and quality of life for millions of people suffering from cataract. Based on the core tenets of Quality, Trust, Dedication and Attention to Detail, Hoya Surgical Optics develops innovative and high-quality products that offer ease of use, safety and reliability to eye surgeons and ophthalmologists worldwide. HOYA Surgical Optics is the fastest growing IOL company in the world and the global market leader in developing preloaded IOLs. 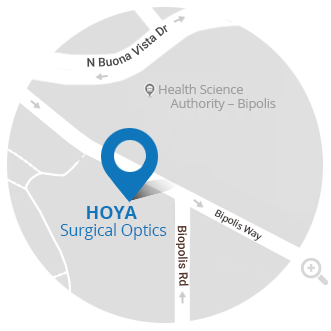 HOYA Surgical Optics is a division of HOYA Group. Founded in 1941 in Tokyo, Japan, HOYA is a global technology and med-tech company and a leading supplier of innovative high-tech and medical products. HOYA is active in the fields of healthcare and information technology, providing intraocular lenses, eyeglasses, medical endoscopes, optical lenses as well as key components for semiconductor devices, LCD panels and HDDs. HOYA currently employs a multinational workforce of over 38,000 people across its 150 offices and subsidiaries worldwide.